The places and spaces we inhabit – physical, cultural, social, or professional – give shape to the practice of librarianship. Recent developments in library instruction emphasize the importance of culture, history, and place, leading to an explicit focus on the need for cognitively just and context-sensitive pedagogy. As an historic meeting place for thousands of years, at the confluence of the Red and Assiniboine Rivers, Winnipeg is an appropriate location to engage with place and practice. 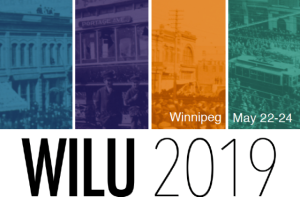 At WILU 2019 we hope to provide the opportunity for librarians to come together to collaboratively develop, discuss, and evaluate library instruction in this unique context. We aim to create space to critically examine pedagogy and practice, and the influences of location, identity, culture, politics, and social memory, in a move towards a more reflective and transformative profession.